Is it possible to say what species this is? 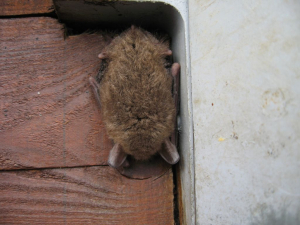 Natterer's Bat has been suggested, but any advice welcome. It was found in a padlock cover on a small outbuilding on the RSPB reserve at Otmoor - wasn't there on Saturday early evening, but must have flown in during the night; we found it early on Sunday morning.